B. Prasanna is a music composer/arranger/producer based out of Chennai. Trained in mridangam (Indian percussion), he branched out into music composition and arrangement. Apart from his commissioned works, he features his original compositions under his indie music initiative BP Collective. His musical influences are world, pop, jazz fusion and rock. He is the composer of our magazine’s theme music! We spoke to him about his recent single, his life as an indie music artist, and his thoughts on music. The World of Apu: Can you tell us about your musical journey so far? When did you discover your passion for music? What inspired you to compose music? 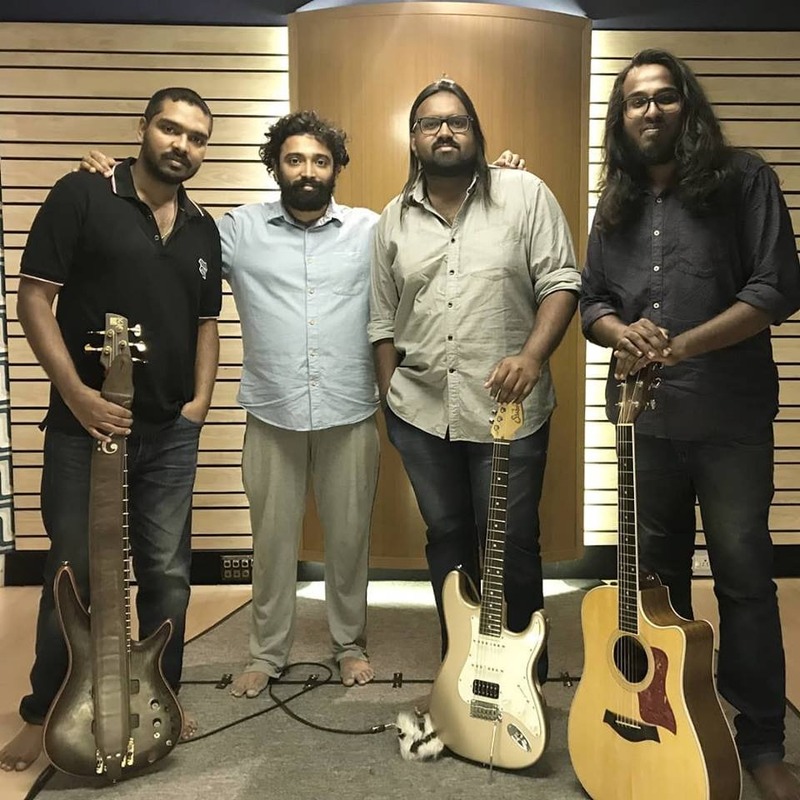 B Prasanna: I do my original music independent music as well as commissioned works for commercials, corporate films and contribute towards feature film scores as well. At a personal level, travelling deep into the rabbit hole of music exploration is exciting and rewarding each day. There is just so much to explore and unravel. I think I discovered my passion for composition when I heard the songs of Rahman in my childhood—each song was an experience in itself. It sparked my imagination and kindled the artist in me. 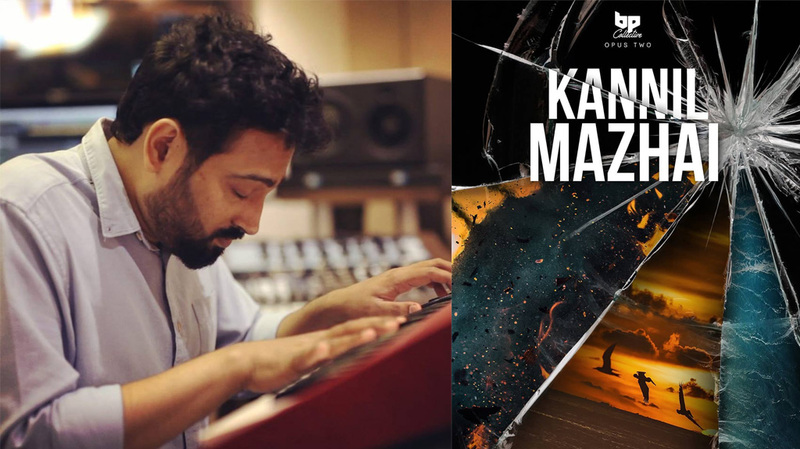 TWoA: What motivated you to compose the single Kannil Mazhai? BP: In the present day context film songs are getting shorter and attention spans are reducing. I thought it would be interesting to explore a rather serious idea in an elaborate way, while keeping the audience engaged. I was laterally inspired by the song En Uyire from the film Uyire [Dil Se]; it’s a 7.5 minute song, it’s pretty intense and the song takes us on a journey. I thought it’s been a while since we heard that kind of expression, so I wanted to give it a shot. TWoA: How did you choose the instruments and voices for Kannil Mazhai? Was there a thought process behind the choices or was it intuitive? BP: They were intuitive choices. I am a 21st century musician and I am not bound by cultural boundaries in viewing an instrument, although each instrument may have a rich history and culture behind it. Our lives and lifestyles are melting pots of various influences, so it is natural that our artistic expressions also reflect that. TWoA: You also did the orchestral arrangements for the Visiri teaser for the movie Enai Noki Paayum Thotta by Gautham Menon. What do you enjoy about working with an orchestra? BP: When so many musicians come together and play what you’ve written, the feeling is inexplicable. Everyone pours their human-ness into every note, which you can never achieve in programming or mockups, however good the samples are. The life that comes into the piece, when you record an orchestral piece live, is amazing to experience. TWoA: Is it similar to the feeling of a scriptwriter when he/she sees his film come alive with actors? BP: I think it could be similar. The dramatic nature of your ideas is realized only when humans perform it. Computer mockups/programming are certainly beneficial to the composer, but a piece of music starts breathing when the musicians perform it! TWoA: Which phase of a song’s composition is the most exhilarating for you? Why? BP: Honestly, the drive to do indie music comes from the fact that you can enjoy every phase in the journey of a song coming to life. Every creative aspect is absolutely exhilarating—from the conception to composing, arranging, recording and mixing. TWoA: If you were to pick one (or a few) all-time favourite movie soundtrack (film of any language), which one would it be and why? BP: Tough one, but if I could use the criteria of how amazingly the score contributed towards the film, apart from being great music on its own, I’d like to pick Gustavo Santaolalla’s music for Babel. I was blown away when I saw the film and I remember how much the music made an impact to the story telling, in a very original and unique way. 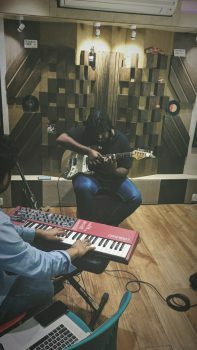 TWoA: From a purely musical perspective, do you see any difference between composing a film song and an independent single, in the context of Tamil music scene? BP: I believe that the music and the medium are intertwined. How busy the music is, how visual it is, how suggestive it is, how cultural it is—everything is arrived at either consciously or subconsciously by the composer depending on what he/she is scoring for. I haven’t scored for any mainstream film as a music director, but I am assuming it would need a different approach. TWoA: What do you think is the most important quality for a music composer to have? BP: I’m figuring out these things myself, so I’m not qualified to declare what the best quality would be. For me personally, my curiosity and ability to introspect honestly have helped me grow as a musician so far. TWoA: How does where you live influence your work? To what extent is Chennai an influence on your music? What significant outside influences do you have? BP: I strongly feel the place where you listen to and compose music matters a lot. I have observed how my listening changes when I am in Singapore or Bangalore, compared to when I am in Chennai. This is a personal experience which I can’t generalize. I think the climate, colours of the place you are in, and the lifestyle, impacts the listening quality. I remember having a better mental bandwidth to listen to certain classical compositions in Singapore, which I have found difficult to do while being in Chennai at times. I’ve noticed this happening even while composing. So sometimes I try to space out with some other visual on my screen before I begin to write new music. I try to inspire myself with some sound FX of nature in YouTube or with paintings from DeviantArt when I start to compose fresh. This allows me to feel I am in a different space, where the nature and landscape are different. I find that inspiring. TWoA: Do you consciously try to break or rebel against any stereotypes through your music? BP: I think the rebellion part is before and after composing. Composing is a process where you do it with love and excitement to realize a possibility you’ve dreamt of. The rebellion is outside it—where you ensure you hold your own space and not give it away for any reason, good or bad. The conviction you put behind your music sensibilities & aesthetics and guard it, in order to nurture it—that’s the rebellion part. TWoA: “The written word is read and assimilated by a conscious act of the will in alliance with the intellect; little by little it affects the imagination and the emotions. The process is different with a motion picture. When we experience a film, we consciously prime ourselves for illusion. Putting aside will and intellect, we make way for it in our imagination. The sequence of pictures plays directly on our feelings. Music works in the same fashion; I would say that there is no art form that has so much in common with film as music. Both affect our emotions directly, not via the intellect.” Ingmar Bergman said this. How do you go about expressing a certain emotion through music? Is your approach mystical or logical? BP: The expression part is mystical. The communication part is logical. When I’m struck by a musical idea and I am doodling with it or imagining it, I’m already having the experience. A desire for my audience to also experience the same thing is where the craft comes in. Craft is caring for the audience’s experience. It has a fair amount of logic involved in it. Like all art forms, I think music is both mystical and logical. TWoA: How do you hone this craft? BP: I think continuous exploration and also keeping in touch with friends who don’t have any philosophies in music or established musical perspectives—both help a great deal. TWoA: We’d love to know how you composed our magazine’s theme music. BP: I wanted to go for a nostalgic nineties vibe. I didn’t have any particular musical plan. I searched for some retro sounding synths. Once I came upon it, I just went with the flow. TWoA: What are your memories of the first piece of music that you listened to? Do you remember liking it? BP: Honestly, I don’t remember. That would be an amazing memory to have! The first piece of music one listens to and how he/she responds with that innocent mind—wow! Unfortunately I don’t remember it. TWoA: What was the first musical instrument/equipment that you bought for yourself? Why did you need it? BP: The first instrument I wanted was mridangam. I guess I was drawn to percussion when I was very young. I think the first equipment I wanted was the MIDI cable—it connected the keyboard and computer. It was relatively easy to get… no issues there! TWoA: Numerous gadgets are used in the music production process, from headphones to synthesisers. A gadget we use for long almost becomes our companion. Is there any such music-related gadget that you love, maybe even talk to when you’re alone? BP: Interesting! But I don’t think I’ve had that experience. The only inanimate thing I’ve spoken to is the mirror, when I’m alone. TWoA: Do you have a favourite cinema hall? Which is the best setup in which you like to watch movies in? Why? BP: Sathyam Cinemas! The best! Movie-going became a cultural phenomenon in Chennai, thanks to Sathyam. Few brands transcend into an experience. I think Sathyam managed to do that for Chennai. TWoA: Is there someone (who isn’t alive) you’d love to have a conversation with about music? Who and what would you like to say? BP: Probably Bach. I would like to ask him how he came up with his revolutionary ideas. TWoA: What are your aspirations and plans for your music label BP Collective? BP: I may sound dreamy, but here’s the plan: Create original content, express with honesty and clarity; build a strong connection with the audience and involve them actively; work with amazing artists around the world; produce and eventually perform our material; contribute positively to people’s lives. Of course, bread and butter first! Prasanna also composed the music for the independent feature-length film Tashi. Read our interview with the team of Tashi here.